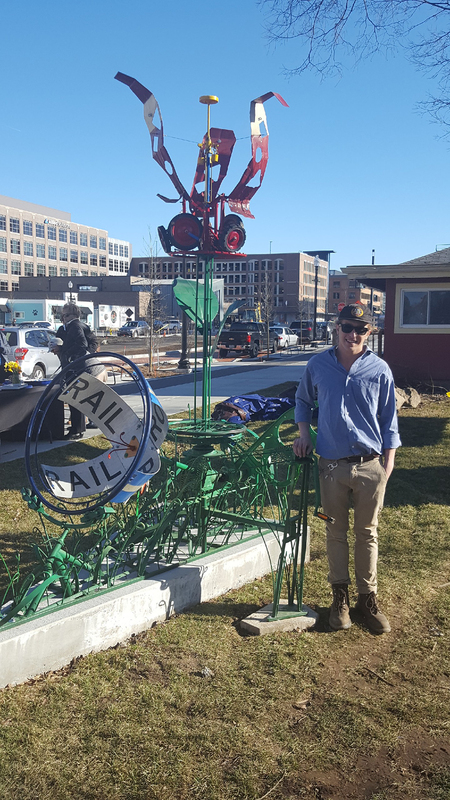 Scott Osborne wanted to represent something old and something new in his sculpture for the Carmel Clay Historical Society. 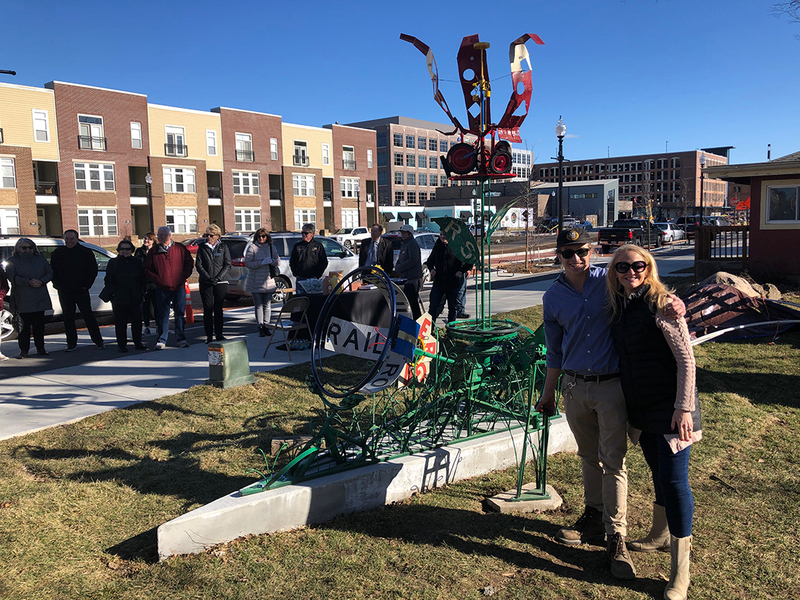 The kinetic interactive sculpture, which Osborne calls “Blossoming,” made its debut March 22 outside the CCHS building, 211 1st St. SW, near the Monon Trail. Osborne, 25, grew up in Carmel, graduating from Heritage Christian High School in 2013. Osborne said he implemented some of the Monon past with signs and the present with bicycle parts. To Osborne, the sculpture represents the past, present and future. One consistent feature in Osborne’s sculptures is the number 3. While doing other projects, Osborne took about a year to build it after planning it for several months. Osborne started with an illustration studies at Herron.